THIS IS AS REAL AND AS UGLY AS IT CAN GET! Dot #6 Dr. Jeff Taubenberger of the U.S. Institute of Pathology in Ft. Dedrick MD, (The world headquarters for biologic weapons development) successfully maps the genome of the 1918 killer “flu” virus responsible for the 1918 “pandemic” that killed millions. The worst killer virus ever to plague mankind is now ready to be used as a covert “weapon” disguised as a natural “influenza” mutations! Dot #6 July, 2005: The Illuminati-conrolled United Nations announces that the world is long over-due for an “influenza pandemic”. The H5N1 “Avian Flu” is wrongfully demonized as a COVER! FEDS GRANT EMINENT DOMAIN AS COLLATERAL TO CHINA FOR U.S. DEBT! This is an unimaginable betrayal of every man, woman and child in the USA. An outrage worthy of violent overthrow! The US Gov’t goes belly-up and China comes in and says, “they owed us $2 Trillion in Treasury Notes and another $2 Trillion in actual cash money which is now worthless. We are taking the entire state of Hawaii and the entire state of California in lieu of this bad debt”. The “taking” would be a “valid public use” because it was “taken” in payment of the public debt!!! For your $200,000 house, you get a Chinese check for $20,000! Needless to say, the property owners would go ballistic and demand “just compensation” for what was taken. Who gets to decide what is “just?” China! Don’t think you got a fair price for what they took? No problem, sue China! This is what our own Government has just done to us and it is the single most vile act of betrayal in the history of human existence! In early February, nine U.S. States began the process of re- asserting their Sovereignty pursuant to the Ninth and Tenth Amendments to the US Constitution; declaring null and void any actions by Congress that violated the Constitution. The states took action to make certain the feds couldn’t give away cities or the states themselves. Our present federal government makes the treachery and betrayal of Benedict Arnold look like child’s play! Do you really believe Jon Huntsman was just out shopping with his bodyguards, when he was obviously very interested in the events going down? That is, until somebody with a video camera identified him — then, time to get away!!! Bernanke’s Hand Caught in the Cookie Jar — a MUST-SEE VIDEO!! Oh, but wait folks. This is only pertaining to LEGITIMATE BALANCE SHEET ITEMS analyzed by Rep. Grayson. In reality, there is over $12.3 TRILLION DOLLARS of payoffs and transactions in “off-the-balance-sheet” secret transfers actually involved here!! This is clearly, and without doubt, the largest single act of piracy and HIGH TREASON EVER PERFORMED IN THE HISTORY OF MANKIND AGAINST THE PUBLIC TRUST!! Sabbatean anti-Christian-Zionist Ben Shalom Bernanke, by his own PUBLIC ADMISSION in the above video and other evidence produced by investigation, is hereby indicted for HIGH TREASON AGAINST THE PEOPLE OF THE UNITED STATES to wit: 1. for openly and willfully violating the US Constitution, 2. committing acts of financial terrorism 3. committing crimes against humanity, and 4. committing grand theft of at least $500 BILLION USD from the American public. As a leading member of the Global Banking Cartel, he is now to be considered a highly dangerous enemy combatant and domestic terrorist. Citizens of the United States hereby demand that he be properly detained under the laws and customs of war, and held without bail at any state correctional facility bending jury trial, or military tribunal. Here is the supporting evidence for these indictments, compliments of Mr. David DeGraw et. al. compiled back in December of 2010. EARTHQUAKES MEAN BUSINESS?? Event Contracts — INDEED! Several of the largest historical earthquakes to strike the continental United States occurred in the winter of 1811-1812 along the New Madrid Seismic Zone, which stretches from just west of Memphis, Tennessee into southern Illinois. These earthquakes produced at least three temblors between magnitude 7-8, and hundreds of aftershocks. Great Central U.S. ShakeOut – April 28, 2011 @ 10:15a.m. In recognition of the 200th Anniversary of the New Madrid Earthquakes of 1811-1812, the US Geological Survey has released several short videos on YouTube. The videos come in time for the official NMB Kickoff, slated for February 11, 2011 in St. Louis, Missouri. The Kickoff is being held as part of the 18th Annual “Earthquakes: Mean Business” seminar being hosted by St. Louis University. Is Middle East War Imminent? If so — CLOSE EMBASSIES! As Days of Rage continue across the Middle East, and thoughts are far from the Israeli-Palestinian peace process, the Israeli Foreign Ministry took the unusual step earlier this week of quietly shutting down four embassies and putting others on high alert. That’s because as attention has turned to protests in Bahrain, Yemen, Algeria, and Iran, sabers are rattling between Lebanon and Israel. 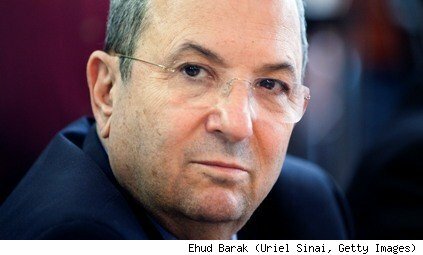 Israeli Defense Minister Ehud Barak warned that his nation could once again enter Lebanon, and Hezbollah once again promised to avenge its martyrs. That would be one martyr, in particular. At least this week. While Israel’s embassy in Cairo was already in flux due to the 18-day Egyptian uprising, the decision to shut down four, thus far unnamed, diplomatic missions coincides with the third anniversary of the death of Imad Mughniyeh, a Hezbollah leader, in Lebanon. Mughniyeh was killed in a car bombing in February 2008; Hezbollah blamed Israel. Israel denied culpability. Observers pointed out that there were others around the globe who were happy to see Mughniyeh dead (the United States is at the top of that list). Mughniyeh was widely believed to be involved in the hijacking of TWA flight 845 in the early 1980s (and was indicted for that crime in the U.S.) and other attacks on Americans, as well as bombings against Jewish and Israeli sites in Argentina — including the deadly AMIA bombing in 1994 against a Jewish community center that killed 85 people and wounded 151 more. He then dropped off the radar for years, though intelligence believed him to be still active — and even blamed him for the Khobar Towers bombing in Saudi Arabia in 1996. Agence France-Press reported that on the dais with Nasrallah was Mohammed Yusuf Mansour, a Hezbollah leader who escaped from a Cairo prison last week. The countries weren’t named, but observers noted that on Friday Israel’s Counter Terrorism Bureau declared eight countries were high risks for Israeli and Jewish travelers — Egypt, Turkey, Georgia, Armenia, the Ivory Coast, Mali, Mauritania and Venezuela. The foreign ministry did not confirm embassy closings in those nations, possibly to throw off any planned attacks. Closing an embassy is a relatively unusual step. The United States and the United Kingdom, however, temporarily closed embassies in Yemen in early January 2010 due to threats of an al-Qaeda attack there. The Ice Queen of Narnia (Clinton) and “Free Speech” Lecture! As Secretary of State Hillary Clinton lectured about freedom to the rest of the world at George Washington University and condemed governments that arrest protestors and do not allow free expression, 71-year-old Ray McGovern was seized from the audience right in front of her by police and an unknown official in plain clothes. He was brutalized and left bleeding in jail. And yet Hillary never even paused; didn’t skip a beat in her speech. When Secretary Clinton began her lecture to the world, Ray McGovern was standing silently in the audience and turned his back to her. Mr. McGovern, a veteran Army Officer who also worked for the CIA for 27 years, was wearing a “Veterans for Peace” t-shirt. McGovern discussed his protest and subsequent arrest at Secretary Clinton’s “Freedom Speech” in an interview with blogger Rob Kall. He was suddenly grabbed by security officers and police. As he was being hauled out the door, Mr. McGovern remarked, “So this is America?” Mr. McGovern received bruises, lacerations and contusions from officers. “It is the ultimate definition of lip service that Secretary of State Clinton would be trumpeting the US government’s supposed concerns for free speech rights and this man would be simultaneously brutalized and arrested for engaging in a peaceful act of dissent at her speech,” stated attorney Mara Verheyden-Hilliard of the Partnership for Civil Justice Fund (PCJF). This proves what is happening around the world with Hillary Clinton’s “Global Mission Chiefs”. (See post below on “QDDR” in D.C.) It shows the lies being spread across the board on this. Clearly, CIA operatives are working overtime sowing chaos, this would appear now to be obvious. What started in Egypt, is now spreading across the region. One can only scratch and sniff to get a whiff of what was in the works in Pakistan. Folks, this is NOT about “EU Times” or “Sorcha Faal”. THIS IS DEADLY SERIOUS AND MAY LEAD TO GLOBAL WAR!!! Perhaps now we can also see why JFK was seeking to disband the CIA and the the NAZI’s behind it. The article [above] offers a little bit of truth mixed in with a lot of the usual propaganda. But it’s SOMETHING from the whore media nonetheless. Notice that the article states that the Washington Post KNEW Davis was CIA, but was told to not release that bit of information (last week). Also notice how the article calls the CIA by name, but it’s counter agency in Pakistan (the ISI) is called “a spy agency”. Double-speak, double standards- like Davis being protected after shooting 2 people in the back (for alleged attempted robbery). Except of course that he’s a hired HIT MAN FOR THE PENTAGON. Davis also had photo’s on his cell phone of infrastructure. Put 2 and 2 together here people. A CIA ex-military soldier is in Pakistan carrying a loaded Glock, which is illegal in Pakistan for a foreign ‘official’. The men he shot were shot in the back, and nothing was stolen from him. Those are just a few little facts that have come out. The CIA is a “terrorist agency” according to the Pakistani people, which isn’t in their country fighting “terrorists” or “militants”, The CIA ARE THE TERRORISTS. Enoch was caught away before the Flood and physical proof of the Flood/Deluge is all over the Earth and any decent Geologist will tell You this. So Sheol contains those who came to the Earth to do that misdeed with Evil Humans who’ve done sick in their Lives… a holding tank like County Jail exactly… awaiting Trial for Crimes against the Creation and Universe at the White Throne to get Life Sentence in the Lake of Fire Joint. In the middle of the 70th Week of Daniel when the War in Heaven happens, then Satan the Great Red Dragon/Megas Purrhos Drakon will be cast to Earth Revelation 12, and I wager it will be on Mount Hermon in the Golan Heights that Israel attacked the Intelligence Ship in 1967 to hide this Fact more than the 6 Days War and capture of Jerusalem. So what were the letters??? That was the original three letters and their numerical value in Greek text. and the Sigma/s=ς changes to Serpent shaped Stigma/s=ϛ… to have a more snake-like appearance and have numerical value of = 6. New Antiseptic – “Hydrogen Barackside”! !